I know it’s been a little while since you’ve heard from me. Everything with the baby is going great! I love her to bits! She started eating purees, and is trying really hard to crawl, but she still doesn’t realize she needs to lift her tummy off the ground. I’ve been working with her on sign language as well, and I *think* she might be starting to get it! She’s also started sleeping through the night, which has granted me with some extra free time. YAY! So what’s happening on the writing front? A lot of exciting things actually. My last release was Unexpected Bliss, a m/m novella, that ties into the Unexpected Changes series. This story was out in February, and since then, nothing…. Well, I’m about to make up for that! This holiday session you can expect two short stories from me. A Little Bit of Naughty will be a cute little menage story featuring a feisty bi-sexual woman named Brandi, her friend Emily, and Emily’s secret crush. There will also be The Winter Storm, which tells the story of a couple who have been fighting for months and have the misfortune of being stranded by a winter storm. Both of these stories will be out in December. In addition to that I recently signed a contract with Changeling Press for a four book short story series called Love Me or Leave Me. The first story in the collection is a friends to lovers story called Playing with Michael. Exciting news! It could be out as early as next month! Coming in the new year I will have another short story available. It will be part of an anthology which will be out prior to Valentine’s Day. Aside from upcoming releases, I’m THIS CLOSE (my fingers are really close together!) to completing His Proposal, the next instalment of the Our Love Story series. I have one more scene to write before I read it over and turn it into eXtasy. With a little luck we might even see it out this year! 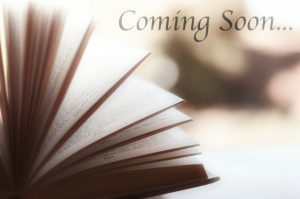 I’m also working away on the next story in the Unexpected Changes series, and the Love Me or Leave Me series. In blog news: remember those author interviews I used to do? Well, I put them on hold when I had the baby. Rather than start back up with them I’m going to be bringing you something similar but a little different from an interview. It will still feature a different author each week, but it’ll be a conversation on a topic facing authors today. It’ll get started in a couple of weeks so be on the look out for interesting things on the blog. Great post, Cameron. I enjoyed your update.